Located in the rolling hills of Tuscany's Maremma region, Terme di Saturnia Spa&Golf Resort is at the foot of the legendary village of Saturnia, named for the Roman god of the harvest. The unique composition of the sulfurous thermal waters and the fact that they remain at a constant temperature of 98.6 F have made Saturnia a healing center for centuries and established its reputation world-wide. 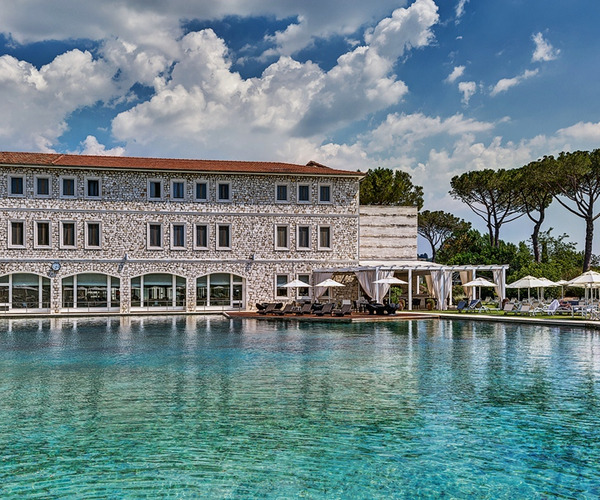 The ultimate Italian destination spa for total well-being, Terme di Saturnia focuses on five areas--hydrotherapy, beauty, stress management, diet, and fitness--to help its guests achieve physical and mental balance and harmony. An overriding philosophy of seeking harmony is reflected in the elegant and contemporary design of the guest rooms and an 18-hole golf course inhouse, designed to blend seamlessly into the surrounding countryside. The Aqualuce restaurant offers Mediterranean dining and Nutritional Spa Menus while the Gourmet All’Acquacotta (1 Michelin star) serves delicious Tuscan-inspired fare. Located on the ground floor of an elegant, octagonal building, the spa specializes in treatments based on the natural hot springs, including mud therapy, inhalations, and baths. Guests can "take the waters" in one of Terme's four pools, which have waterfalls and whirlpools. The Roman bath is lined in travertine stone and lit via a large skylight. Spa-goers first immerse themselves in the thermal waters, which are at body temperature, and shower in a stall that can be bathed in one's choice of orange or blue light. A steam bath and a bio-sauna complete the treatment. Terme di Saturnia also offers a comprehensive medical spa with aesthetic and wellness therapies. Health professionals from several specialties, such as dermatology, psychiatry, and cardiology, are available for consultation, and the spa offers several innovative therapies. The spa's beauty menu encompasses a full range of massage, facials, and body wraps and scrubs. Nutrimelis and Ultivitas treatments combine honey and essential oil application with relaxing massage for a therapeutic experience. Guests are also invited to pamper themselves with a 70-minute Saturnia Long Massage. Ultrasonic Keralytic facials incorporate ultrasound to aid the skin in absorbing moisturizing and anti-aging products. The spa's first floor is dedicated to fitness, with extensive equipment and a comprehensive class schedule. At the spa itself, golfers can play the 18-hole champioship Golf Course inhouse and then relax by enjoying one among the tailor-made Swing&Spa treatments. The surrounding area--the Maremma--is one of the most beautiful regions in Tuscany. It is best-known for its agriculture and livestock raising. You can meander through paths surrounded by fields of grain that are dotted with medieval fortresses, elegant Roman villas, and evocative Etruscan necropolises. Natural materials including local travertine stone and dark woods give the guest rooms a warm, understated feel. 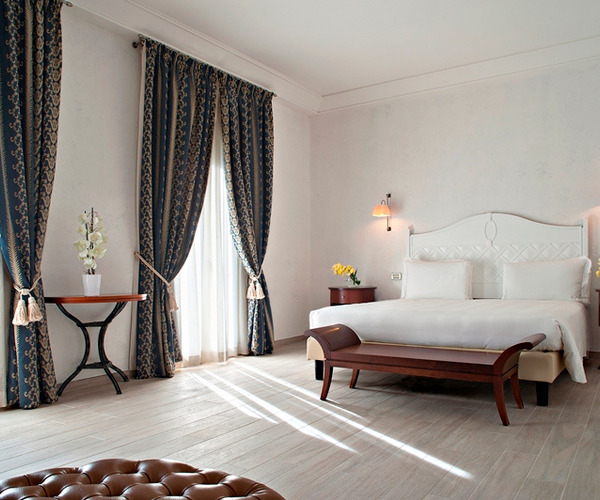 The rooms have been recently renovated and have luxurious marble and tile baths. You can follow a diet prescribed by a nutritional specialist for your specific needs or indulge in the delicious Tuscan cuisine served at Aqualuce Restaurant. Gourmet Menus served at All'Acquacotta awarded with 1*Michelin.